Reduce the fear and anxiety from a child’s first dentist appointment. 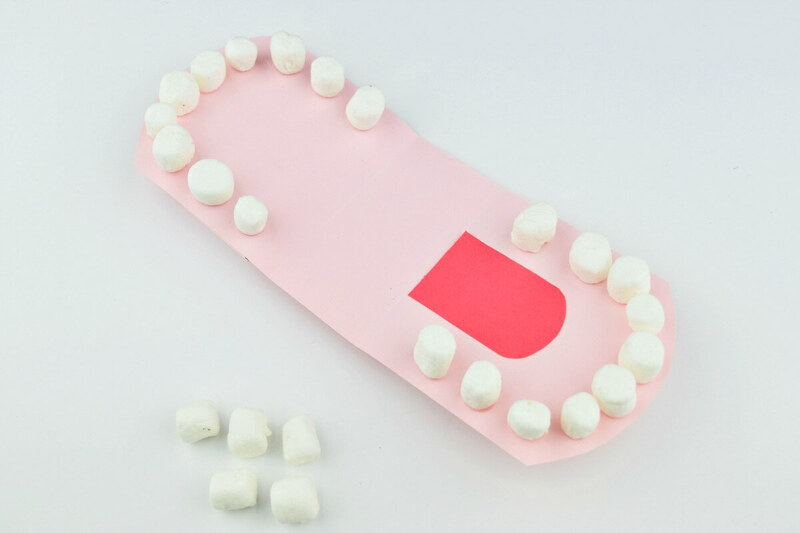 Prepare your child for their first dental exam with this fun and easy model of a mouth. 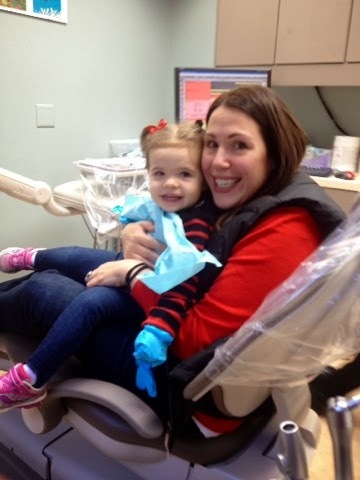 When Elise was ready for her first dentist appointment, I did some checking and found out that a lot of young children are often very intimidated by the dentist. The answer to relieve that anxiety was preparation. It is a simple concept: prepare your toddler for their first dental exam. Ok, but how? We were already brushing her teeth, reading books about dental visits and tooth care, and we even made up a song. What else, short of going for a “meet-and-greet” could I do? Other parents at the dentist’s office and the dental staff were amazed by this little mouth model when Elise asked for it to play “the dentist game” in the waiting room. We played dentist after breakfast for a couple days before her appointment. I asked her to watch as I flossed and brushed the marshmallow teeth and tongue. Then it was Elise’s turn to play with the mouth, brushing each and every tooth with an adorable amount of concentration. I would put her in a dining chair, tip her back (resting the back chair on my lap) and I would say things like: “Hi, I’m Dentist Mommy. May I put my hands near your mouth? May I put this toothbrush (or flosser) in your mouth?” I also used the dentist’s name and we would shake hands and introduce ourselves. She got such a kick out of it. And our visit was stress-free! I’m updating this craft with new images and will tell you, there is no anxiety with the dentist at all. Step 1: Cut your paper pieces. One note before you start: I left room between the teeth of this model of a mouth. I did that to talk about and demonstrate flossing. Step 2: Round out the mouth and tongue shapes. I used the curve of a tape roll to round off the mouth. Step 3: Fold the mouth. I put the front of the mouth at the 3.5″ (three and one-half inch) mark on the ruler and then folded the cardstock over the ruler’s edge. I then scooted the fold I had just made to the 3/4″ (three-quarters of an inch) mark on the ruler and then folded the cardstock over the edge again. These folds more than compensate for the size of the mini marshmallows. Step 4: Fold the handles. I used the same method as above using different measurements. 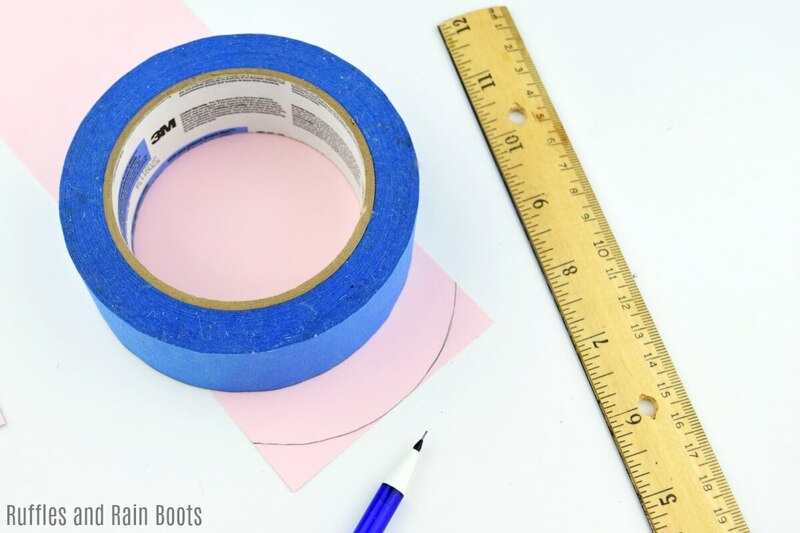 Put an edge of the cardstock handle at the 1/2″ (one-half of an inch) mark and fold it over the edge of the ruler. 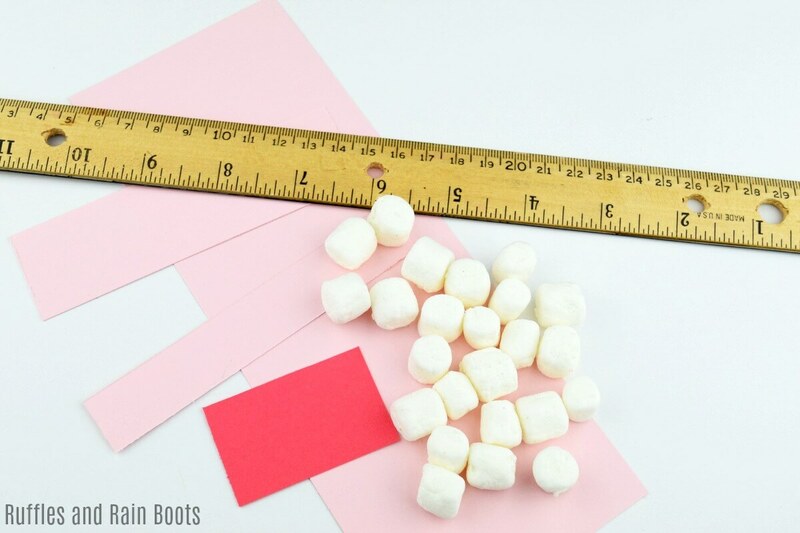 Scoot the fold to the 1/4″ (one-quarter of an inch) and fold the cardstock over the edge of the ruler. Glue the handles to the model of the mouth. I glued down the marshmallow teeth at the back first, making sure the mouth would close easily with both top and bottom teeth secured. Next, I affixed the front two teeth on both the top and bottom. Then, I just filled in the rest of the teeth evenly(ish). I eyeballed it for the handles. Reduce the fear and anxiety from a child's first dentist appointment. 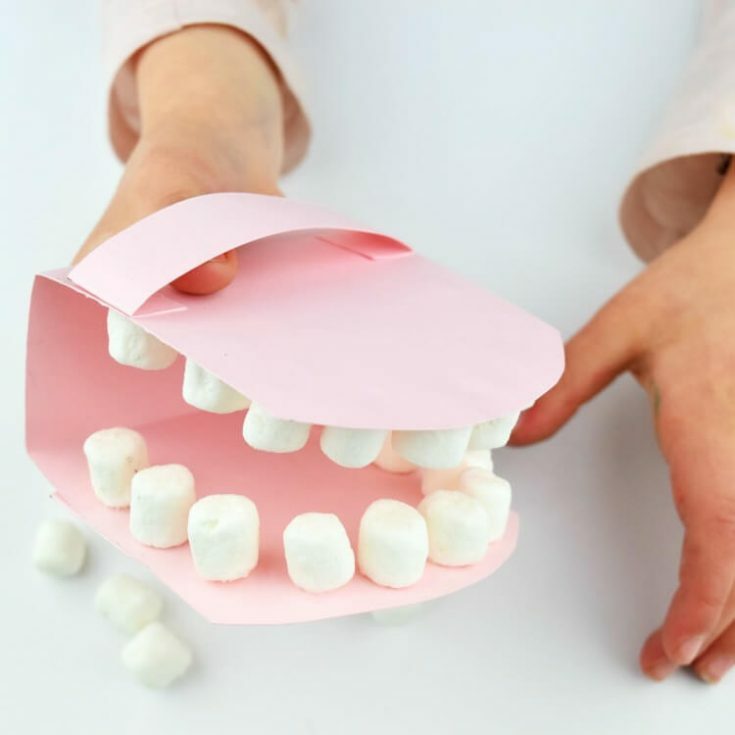 Prepare your child for their first dental exam with this fun and easy model of a mouth. I put the front of the mouth at the 3.5" (three and one-half inch) mark on the ruler and then folded the cardstock over the ruler's edge. I then scooted the fold I had just made to the 3/4" (three-quarters of an inch) mark on the ruler and then folded the cardstock over the edge again. Put an edge of the cardstock handle at the 1/2" (one-half of an inch) mark and fold it over the edge of the ruler. 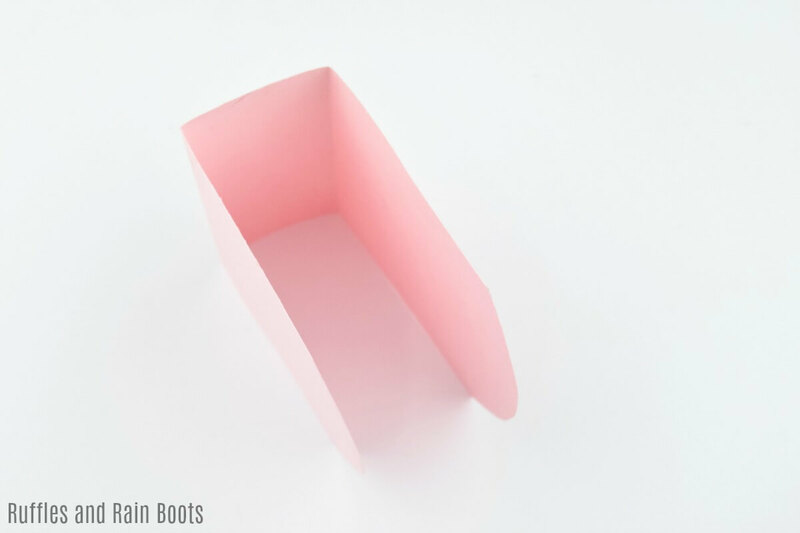 Scoot the fold to the 1/4" (one-quarter of an inch) and fold the cardstock over the edge of the ruler. 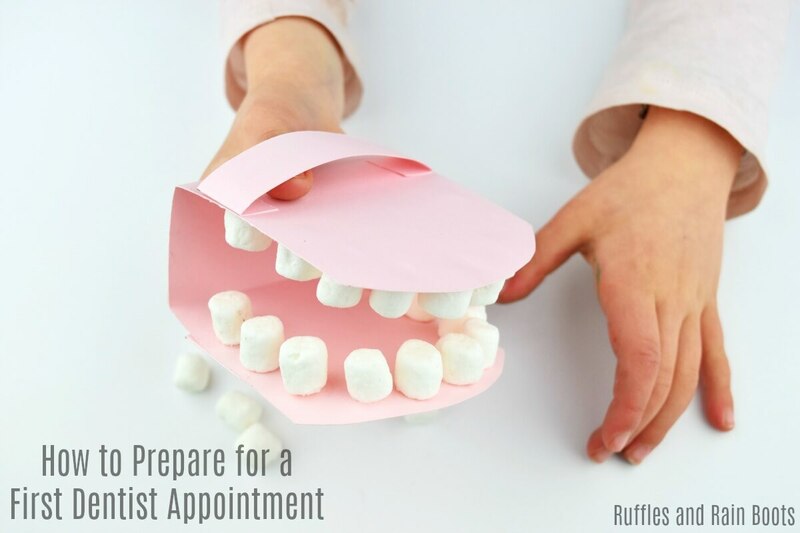 You’re Prepared for Your Toddler’s First Dentist Appointment! 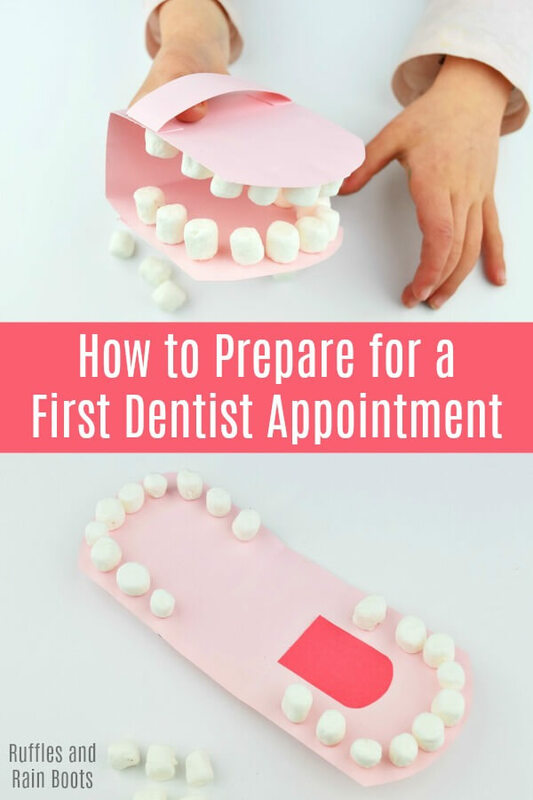 You’re done with your simple model of a mouth to help your little one reduce their anxiety about their first trip to the dentist. 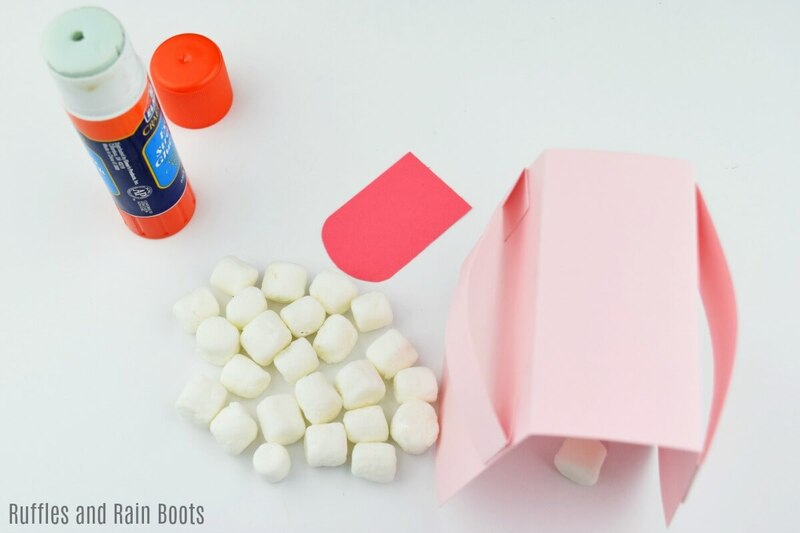 The great part is that the marshmallows dry out and are very sturdy! We have been using this for a busy bag activity as well, and it has withheld a 2-year-old flossing (with a real flosser) and brushing (with a real toothbrush). And this is us at her first dental appointment: all smiles! Oh, I’m so glad it all went well! Dental anxiety can be crippling even for adults so this model to prepare a child for their first dentist appointment is such a great idea.